Recognizing the legal and compliance risks and other possible adverse impacts that may be associated with extracting, trading, handling and exporting minerals from conflict-affected and high-risk areas (“Conflict Minerals”), Infoblox Inc. (“Infoblox”) has adopted and, subject to Infoblox’s relative leverage with respect to each supplier, will use commercially reasonable efforts to incorporate in agreements with direct suppliers appropriate provisions of the following policy on Conflict Minerals. not have a formal program for proactive verification that its suppliers are not engaging in human trafficking or slavery, but has commenced efforts to increase the awareness and sensitivity to these issues within Infoblox. In the event Infoblox is made aware that a supplier may be engaging in prohibited conduct, Infoblox will undertake such investigation and take such action as it deems reasonable and proper under the circumstances. not have a formal program to proactively conduct audits of its suppliers with respect to human trafficking or slavery. Infoblox requires that its suppliers comply with all applicable laws, including those relating to labor, working conditions and human trafficking. In the event Infoblox is made aware that a supplier may be engaging in illegal conduct, it will undertake such investigation and take such action as it deems reasonable and proper under the circumstances. above, Infoblox generally requires that its suppliers comply with all applicable laws. In addition, Infoblox is currently working with its suppliers to obtain certification that materials provided to Infoblox comply with the laws regarding slavery and human trafficking of the country or countries in which the supplier is conducting business. event an employee or supplier engages in or fails to address circumstances that indicate a supplier is engaging in prohibited conduct, the consequences for non-compliance will depend on the nature, circumstances and context of the violation. Consequences for suppliers engaged in prohibited conduct can include terminating or not renewing an existing contract with the supplier; non-renewal of an existing contract with the supplier or more stringent verification or audit obligations. is providing education regarding human trafficking and slavery laws to its employees who have direct responsibility for supply chain management to assist in selecting and monitoring suppliers. If Infoblox determines that there is reason to believe that a supplier is contributing to, assisting with or facilitating the commission by any party of the acts identified in Section 1, Infoblox will take appropriate measures to enforce this Conflict Minerals Policy and any contractual provisions binding such supplier related to such policy by means of a series of escalating risk mitigation measures. Such measures may range from prompt engagement with the supplier to resolve the sourcing issue, to requiring such supplier to implement a risk management plan (which plan may involve, as appropriate, remedial action up to and including disengagement with upstream suppliers), to disengagement by Infoblox from the applicable supplier. illegally tax or extort intermediaries, export companies or international traders. If Infoblox determines that there is reason to believe that a supplier is sourcing from any party providing direct or indirect support to non-state armed groups as defined in Section 3, Infoblox will take appropriate steps to enforce this Conflict Minerals Policy and any contractual provisions binding such supplier related to such policy by means of a series of escalating risk mitigation measures. Such measures may range from prompt engagement with the supplier to resolve the sourcing issue, to requiring such supplier to implement a risk management plan (which plan may involve, as appropriate, remedial action up to and including disengagement with upstream suppliers), to disengagement by Infoblox from the applicable supplier. While sourcing from, or operating in, conflict-affected and high-risk areas, Infoblox will avoid directly or indirectly supporting public or private security forces who illegally control mine sites, transportation routes and upstream actors in the supply chain; illegally tax or extort money or minerals at point of access to mine sites, along transportation routes or at points where minerals are traded; or illegally tax or extort intermediaries, export companies or international traders, and it shall seek the same commitment from its direct suppliers by integration of appropriate provisions of this Conflict Minerals Policy into its supplier agreements. While sourcing from, or operating in, conflict-affected and high-risk areas, Infoblox shall only engage public or private security forces in accordance with the Voluntary Principles on Security and Human Rights, and, subject to each supplier’s position in the supply chain and Infoblox’s relative leverage with respect to each supplier, it shall use commercially reasonable efforts to obtain the same commitment from its direct suppliers by integration of this Conflict Minerals Policy into its supplier agreements. While sourcing from, or operating in, conflict-affected and high-risk areas, Infoblox will, where reasonable and subject to Infoblox’s position in the supply chain, support efforts, or take steps, to engage with central or local authorities, international organizations and civil society organizations to contribute to workable solutions on how transparency, proportionality and accountability in payments made to public security forces for the provision of security could be improved, and, subject to each supplier’s position in the supply chain and Infoblox’s relative leverage with respect to each supplier, it shall use commercially reasonable efforts to obtain the same commitment from its direct suppliers by integration of this Conflict Minerals Policy into its supplier agreements. While sourcing from, or operating in, conflict-affected and high-risk areas, Infoblox will, where reasonable and subject to Infoblox’s position in the supply chain, support efforts, or take steps, to engage with local authorities, international organizations and civil society organizations to avoid or minimize the exposure of vulnerable groups, in particular, artisanal miners where minerals in the supply chain are extracted through artisanal or small-scale mining, to adverse impacts associated with the presence of security forces, public or private, on mine sites, and, subject to each supplier’s position in the supply chain and Infoblox’s relative leverage with respect to such supplier, it shall use commercially reasonable efforts to obtain the same commitment from its direct suppliers by integration of this Conflict Minerals Policy into its supplier agreements. If Infoblox determines that there is reason to believe that a direct supplier is indirectly or directly supporting public or private security forces in violation of Sections 5-8 above, Infoblox will take appropriate measures to enforce this Conflict Minerals Policy and any contractual provisions binding such supplier related to such policy by means of a series of escalating risk mitigation measures. Such measures may range from prompt engagement with the supplier to resolve the sourcing issue, to requiring such supplier to implement a risk management plan (which plan may involve, as appropriate, remedial action up to and including disengagement with upstream suppliers), to disengagement by Infoblox from the applicable supplier. Infoblox will not offer, promise, give or demand any bribes, and will resist the solicitation of bribes to conceal or disguise the origin of minerals or to misrepresent taxes, fees and royalties paid to governments for the purposes of mineral extraction, trade, handling, transport and export, and it shall seek the same commitment from its direct suppliers by integration of appropriate provisions of this Conflict Minerals Policy into its supplier agreements. 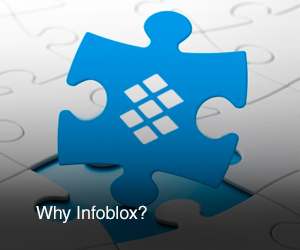 Infoblox will, where reasonable and subject to Infoblox’s position in the supply chain, support efforts, or take steps, to contribute to the effective elimination of money laundering where it determines that there is reason to believe there is money laundering resulting from, or connected to, the extraction, trade, handling, transport or export of minerals derived from the illegal taxation or extortion of minerals at points of access to mine sites, along transportation routes or at points where minerals are traded by upstream suppliers, and it shall seek the same commitment from its direct suppliers by integration of appropriate provisions of this Conflict Minerals Policy into its supplier agreement. Infoblox will take reasonable efforts to ensure that any foreign taxes, fees, and royalties paid by Infoblox related to mineral extraction, trade and export from conflict-affected and high-risk areas are paid to governments. If Infoblox determines that there is a reason to believe that a direct supplier is engaging in bribery, fraudulent misrepresentation of the origin of Conflict Minerals or money laundering in violation of Sections 10 and 11 above, or is in violation of Section 12 above, Infoblox will take appropriate measures to enforce this Conflict Minerals Policy and any contractual provisions binding such supplier related to such policy by means of a series of escalating risk mitigation measures. Such measures may range from prompt engagement with the supplier to resolve the sourcing issue, to requiring such supplier to implement a risk management plan (which plan may involve, as appropriate, remedial action up to and including disengagement with upstream suppliers), to disengagement by Infoblox from the applicable supplier.